When using the Airdroid app, the notification mirror service (found in "tools" ) aka "Desktop Notif" is greyed out. 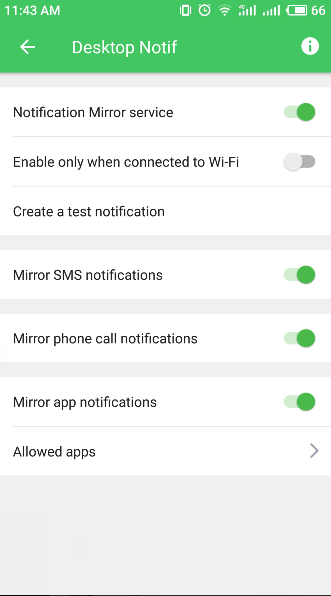 When I go into Tools, I am unable to turn the notification mirror service on. I don't know what the computer and phone ports are - should I find this out? Why is the "desktop notif" greyed out? 1.When didn't you find that "desktop notif" greyed out? 2.Can the web AirDroid receive the notifications? 3.When you click the "desktop notif" icon, have you see this page?